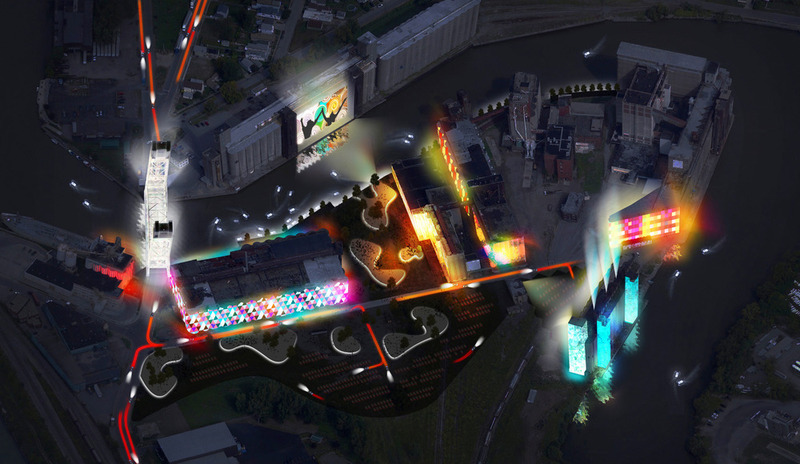 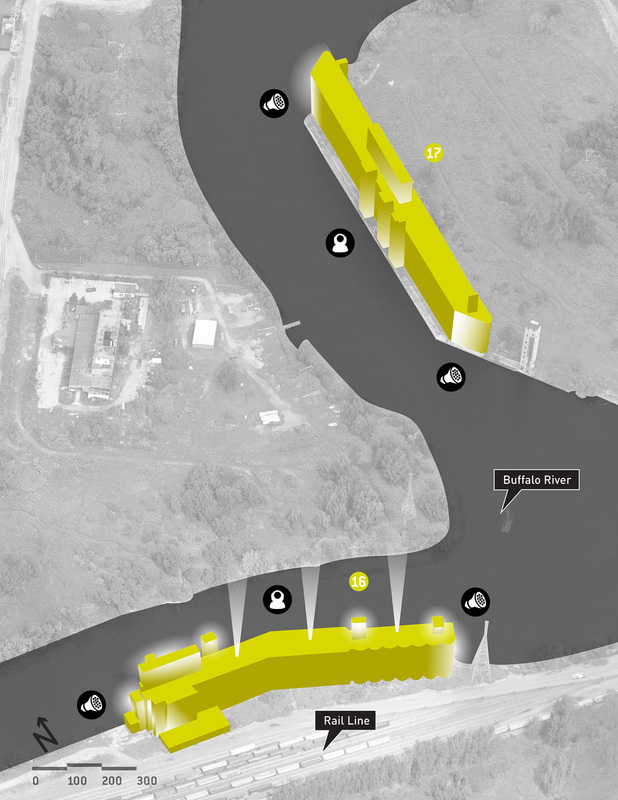 Buffalo Forward is a Masterplan vision to revitalise a series of underutilized and forgotten grain elevators and bridges in Buffalo, NY. 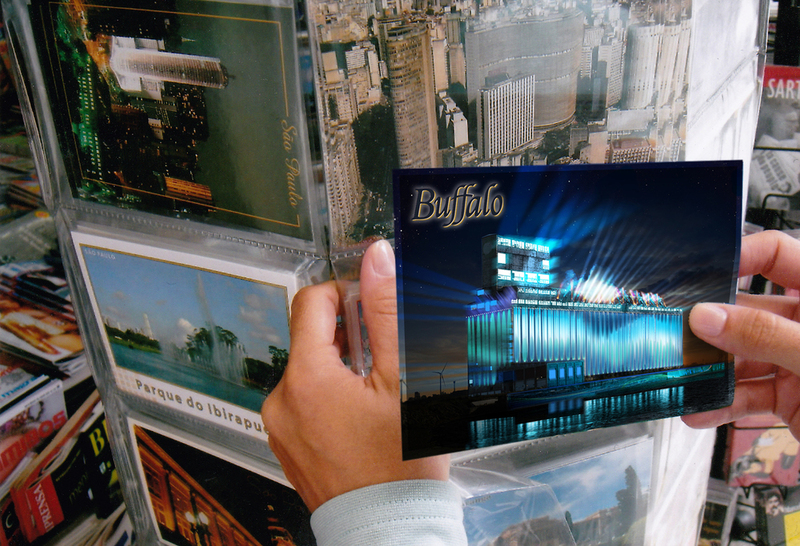 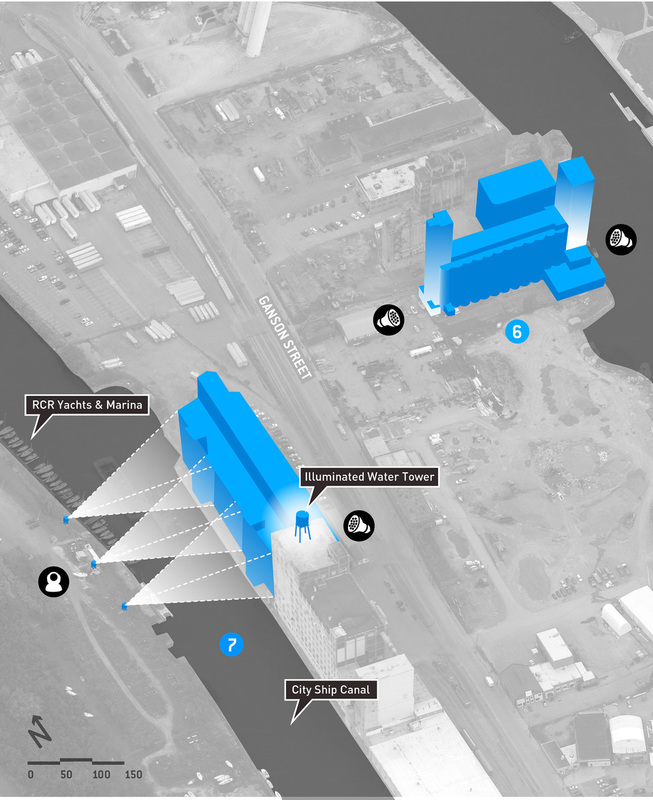 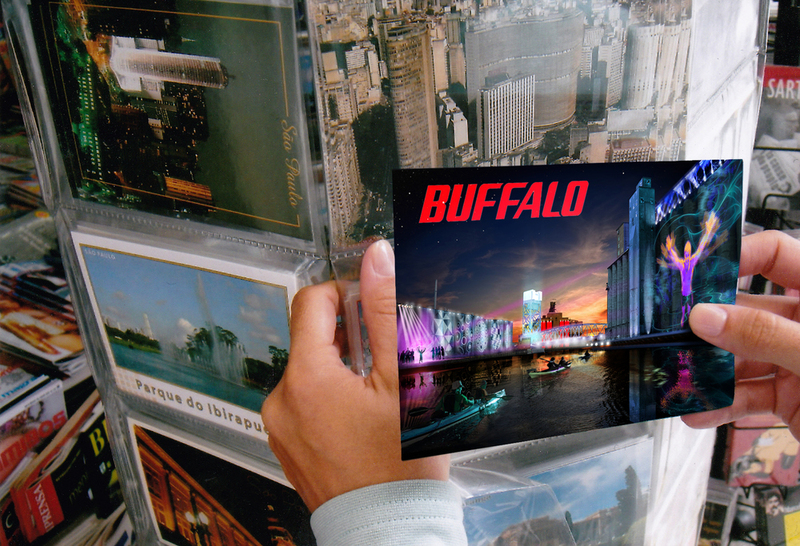 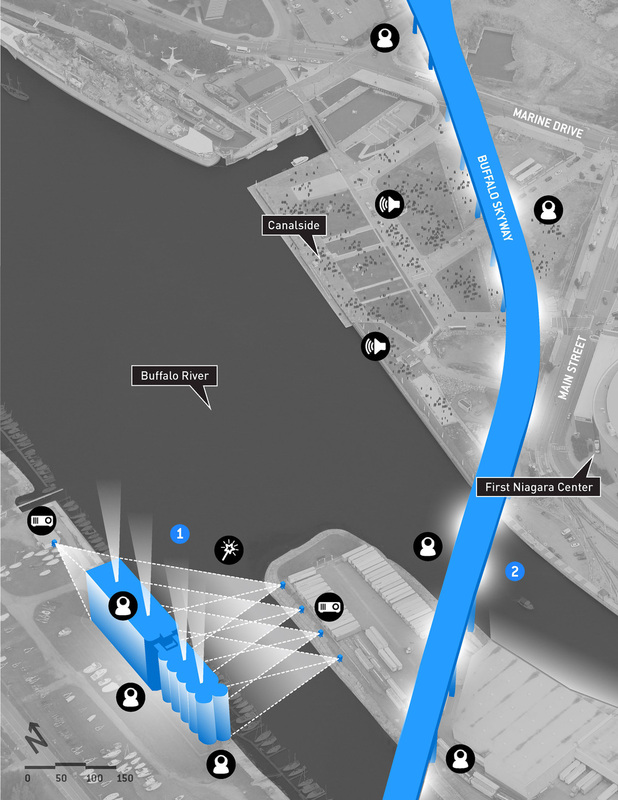 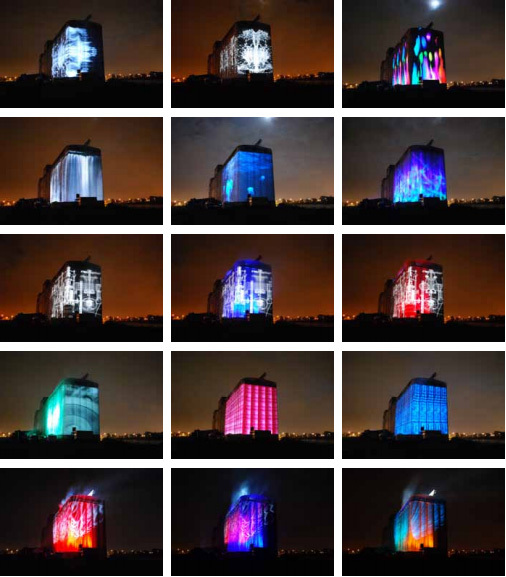 Using permanent lighting installations, such as Connecting Terminal and Buffalo Skyway, the plan aims to create a new destination by drawing public and private interest back to the city’s waterfront. 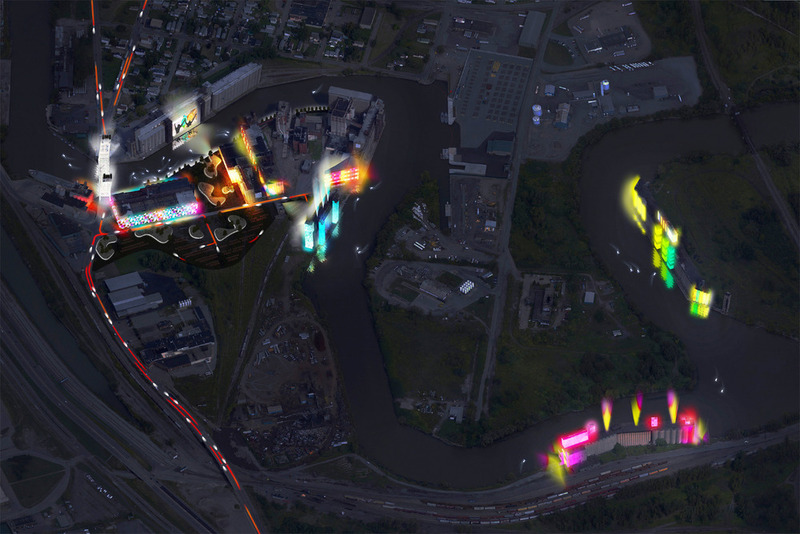 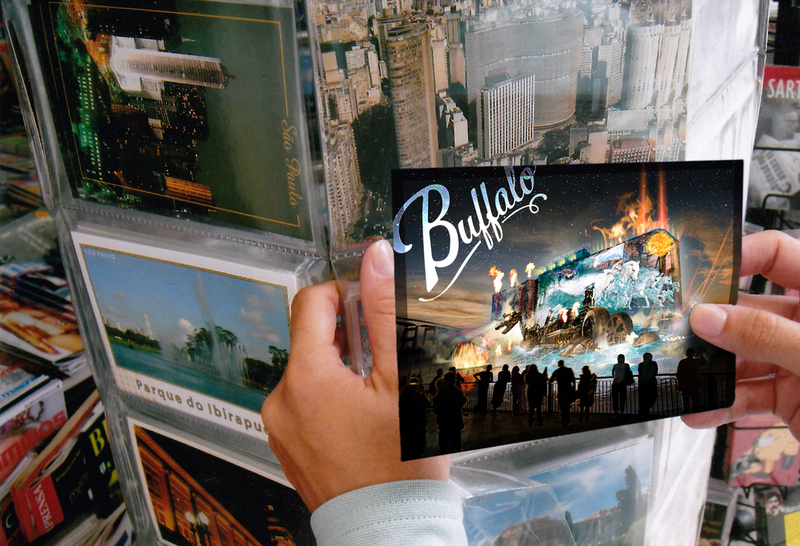 Buffalo Forward is in collaboration with Foit-Albert Associates, Ram-Tech Engineers and Ambiances Design Productions.